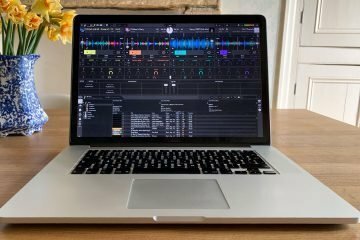 Yes, you read that right — after all too many “why oh why oh why can’t we have some decent DJ software for Android” comments (because Android couldn’t handle it is the answer), Mixvibes have gone and made Cross DJ live up to its name. After Cross for OS X, Windows and iOS 7, Cross DJ for Android claims to be the first to fill the Android void. 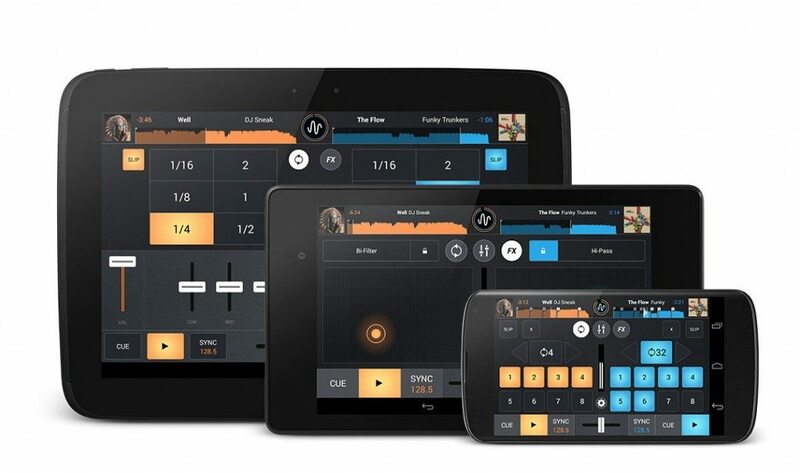 Cross DJ, a popular iOS DJ app developed by Mixvibes, launches its long­awaited Android app. “Our users kept complaining that there was no decent DJ app on Android. So we started thinking: Hey, why not bringing our expertise in pro DJ software to this platform?” says CEO Eric Guez. A few months later, after having overcome many technical limitations, Cross DJ is the world’s first Android app that offers pro DJ tools in an intuitive design. Cross DJ detects the BPM of your tracks, right down to the last decimal. Why? Because it has the same engine as its desktop version. Sync your tracks once, and they’ll never go out of phase. You can tell by looking at the parallel waveforms, to visually check if your tracks are synced. Also, if needed, you may manually adjust the pitch & pitch bend. And if you’re into complete customization of your tracks, you can edit the down­beat with just one press of a button. Eric Guez says: “We know from experience that mixing on a small screen can be tricky. That’s why ­ in addition to having optimized the app for 4”, 7” & 10” screens ­ we introduced an exclusive Quantize mode. 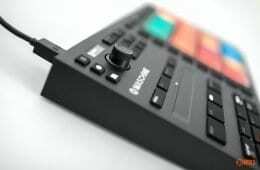 It basically keeps on the beat all the actions you perform.” Set a hot cue or a loop, and Cross DJ puts it automatically on the beat. This also works with the peak­view waveform. Fast­forward with just a touch: the music goes on seamlessly. Cross DJ for Android stretches the boundaries of audio on Android. With its incredible low latency, music instantly reacts to your actions. To test how good it is, try the scratch feature and hear its extremely realistic sound. Another nice example is that there is virtually no loading time when starting­up the app. Is Cross DJ really the first for Android? 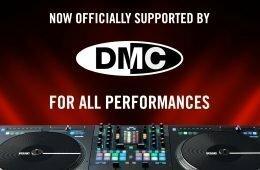 Before the makers of DJ Studio, DJ Pro and suchlike get all huffy and post that actually they were first, it’s worth qualifying this bold statement as being the first that people have heard of and trust, and is way ahead of Traktor, Serato, Virtual DJ and the other lesser established DJ software brands. So you can be pretty sure that it won’t be some barely functioning piece of app trash either. Mixvibes has worked incredibly hard to rise above earlier incarnations of their original software, and these days are all about quality and reliability. Pioneer wouldn’t work with hem if this wasn’t the case. Not having an Android tablet, I can’t fire it up to try it. But the one thing that did strike me was that it doesn’t look like the iOS version at all. I have no idea if this is through choice, be it technological limitations, or just wanting the iOS and Android versions to have their own identity. The only issue I see (and it’s likely to be a very small issue) is for people who use both platforms — the lack of consistency in the different interfaces could be a problem. 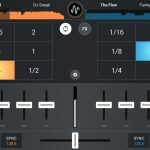 But it does look like Cross DJ for Android has all bases covered, and shouldn’t suffer from the much talked about technology limitations of Android as a professional DJ platform. This was generally considered to be latency and multi-channel audio handling. But if Mixvibes have written an app, it’s clear that at least one professional player in the DJ industry considers Android ready for primetime. We can only hope and pray that this is true, and not a pre-emptive strike on the obvious next-big-thing Android DJ market. There are however limitations imposed by Mixvibes. You’re going to need at least Android 4.1, and 4.3 if you want to record your sets. 4″ screens and above are supported, and you’ll need 1Gb of RAM and a dual core processor. I have no clue who that includes or excludes, but I’m sure someone will moan. On Google Play, Cross DJ for Android is listed at £3.29, a paltry sum for what promises to be the first professional DJ experience for Android. So… with the Android flood gates opened, it can surely only be a matter of time before the like of NI and algoriddim get busy on Google’s mobile platform. The mobile platform just got a lot more interesting for DJs. Good work Mixvibes! I’m still not buying an Android tablet though. Not hate — just don’t need one. I do have an open question that comes from a lack of knowledge — how does Android handle music? I’m used to the iTunes store, but don’t know how this will work with Android. I expect a lecture from the team about how iTunes is Orwellian and Android is about freedom or something.